Come along to our free event presented by our Janome Educator and enjoy a cuppa and morning tea. They will be in-store to demonstrate the latest machines and accessories plus will be available for questions and general sewing advice. We will be making some bags on the new Memory Craft 6700 Pro so you can see the true sewing performance of this beautiful machine. You will also get to see some of the feet and accessories that Janome have to offer that will help you with what ever project you have on. 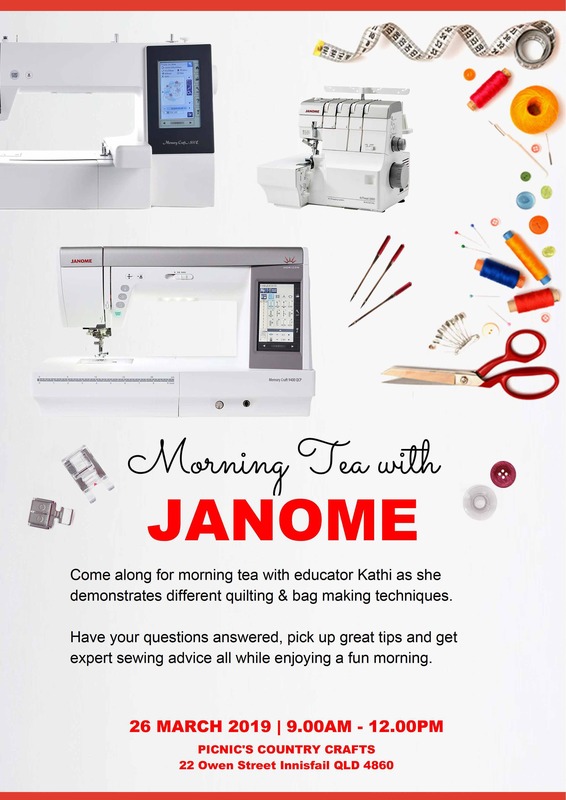 So whether you are a beginner or an experienced sewist our Morning Tea with Janome is for you.